This program allow you to edit your savegame. Changelog: - Rewrite all base code - Automatic detection animals - Supports for standard and mod map - Supports old Farming simulator 2013 savegame. 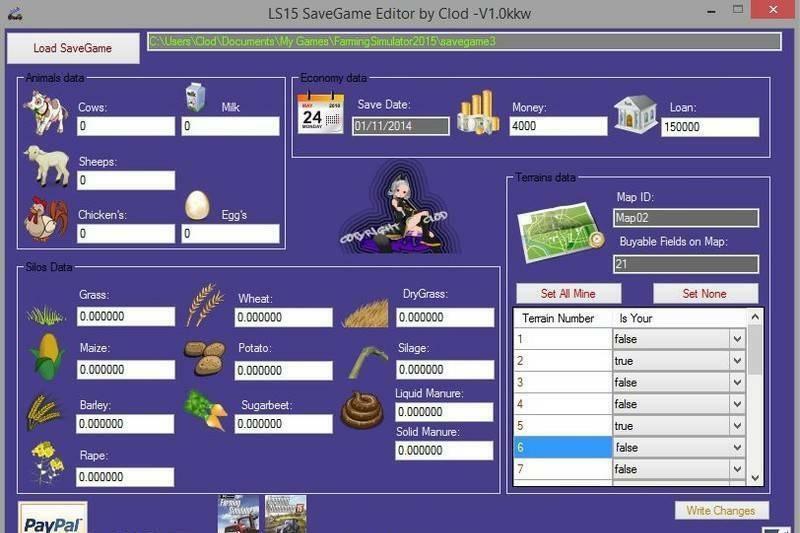 How to use: - Just press "Load Save Game" button, then locate your save game folder; - Set all new value by click and write - Press "Write Changes" button to save modification - Run your game.